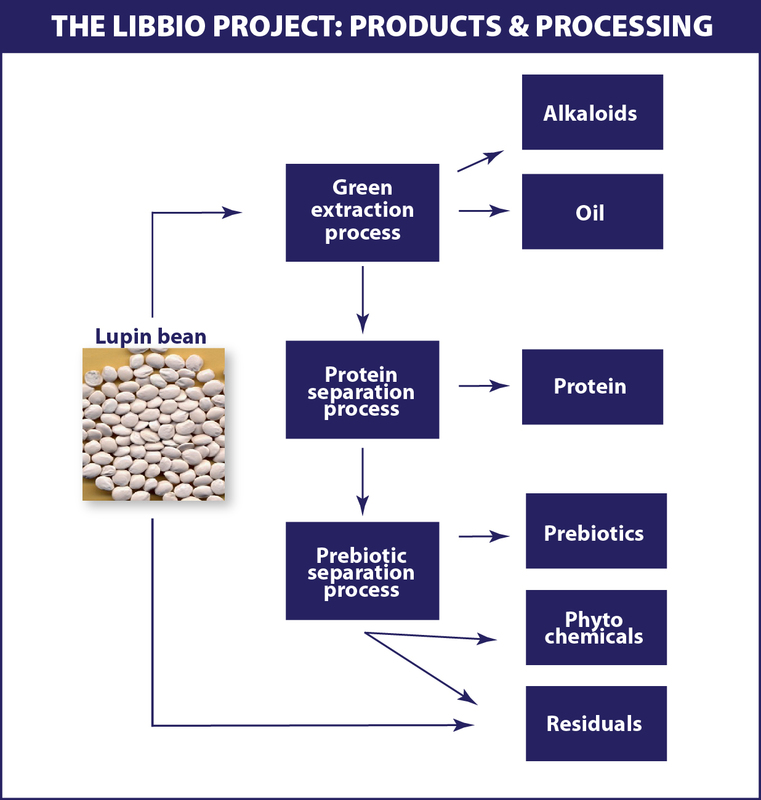 The overall concept of the project is to develop and optimize an Andean lupin breeding and cropping programme plus the primary processing pipelines while at the same time developing high value-added consumer or business-to-business products, thereby reducing lead times for products to reach the market. Processing will result in new oil, protein, alkaloid and soluble fibre based consumer and industrial products. Parallel development of all the elements of the supply chain will generate market demand by the time the first Andean lupin varieties adapted to EU conditions are available, thereby accelerating demand and stimulating production within the timeframe needed for Europe to reduce imports and enhance self-sufficiency in oilseed. The project has adapted a supply chain approach by starting upstream with crop genetics, breeding, cropping, raw material processing, food and non-food product applications and ending down-stream with techno-economical evaluations (including market and consumer perspectives) parallel with environmental and sustainability evaluation. The project will use a non-GMO approach for breeding thereby satisfying consumer and producer wishes for GMO-free products. Modern molecular technologies will be used to accelerate traditional breeding techniques. Trans-disciplinary activities will be encompassed across the project within a “stakeholder-platform” to promote and facilitate interactions (e.g. via interactive workshops for knowledge circulation) among project participants and representatives of larger companies (non SME), NGO’s, consumer organisations and farmer associations. Critical technologies (new oil crop varieties and green extraction processes for oils and alkaloids) will be developed to demonstration level by the end of the project. New products will be prototyped and be ready for further development by participating SME’s and companies in the stakeholder board. 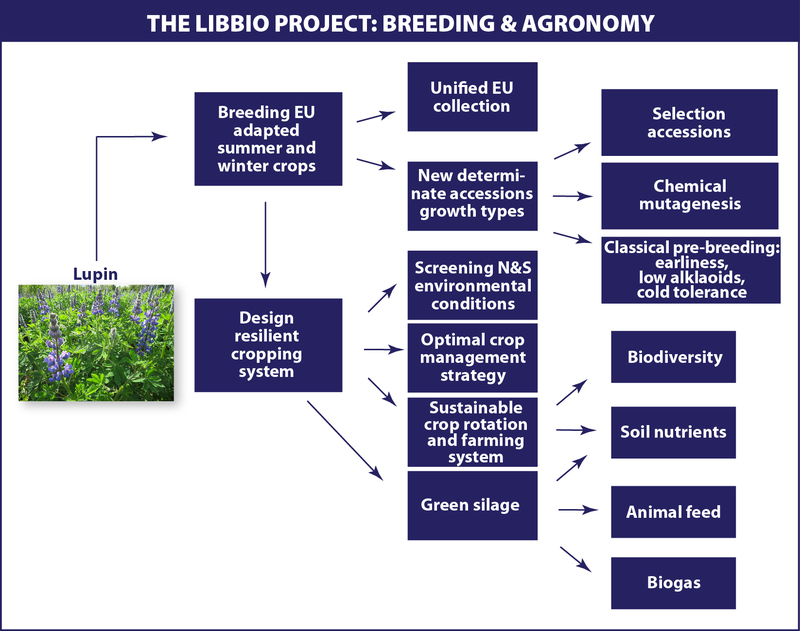 The main focus is on non-food applications of lupin products and on supporting and enhancing the European bio-economy. However, high-value food applications will also be developed to ensure the most valuable use of the whole plant in a cascading approach.